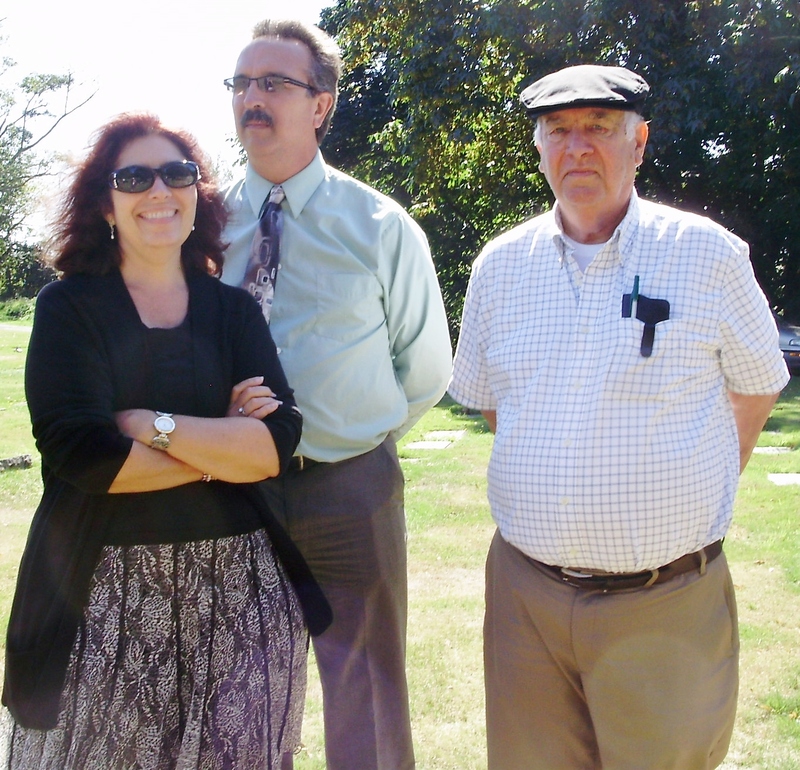 Putting a person’s body, or in our case, ashes into the ground is really the final good-bye. 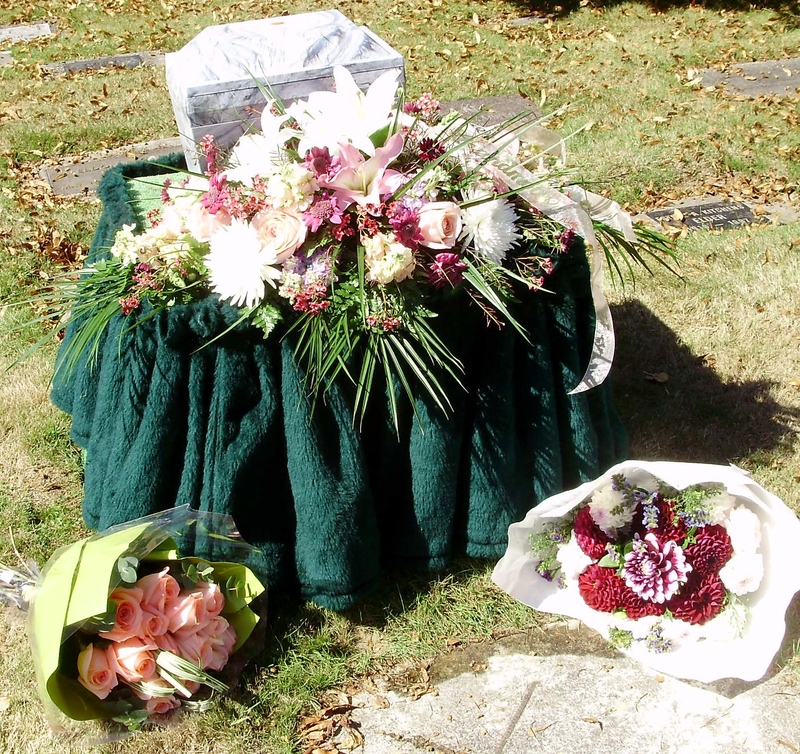 Today was our final good-bye to Lorraine, two years ago today. 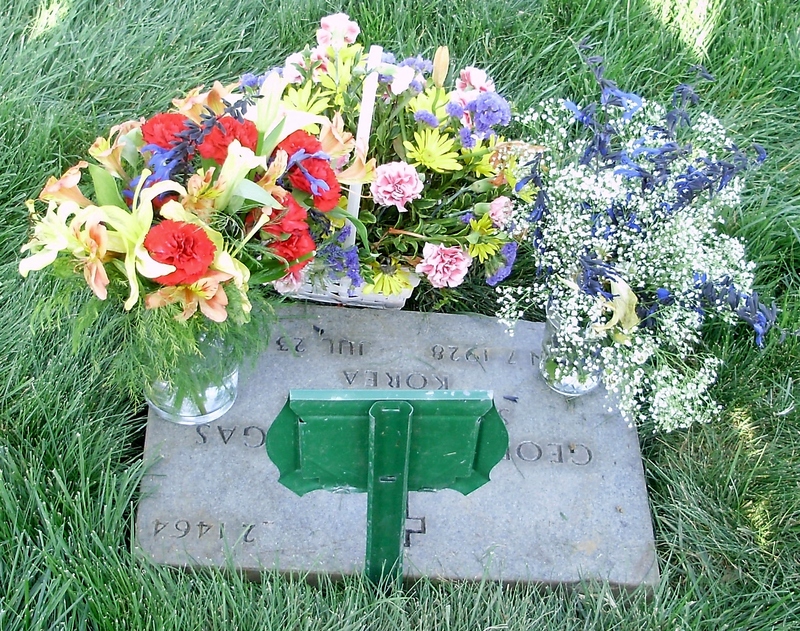 Her ashes are beside those of her husband, George. They are in the most beautiful and most well cared for cemetery I’ve ever been to! It’s a veteran’s cemetery, only for military personnel and their families. 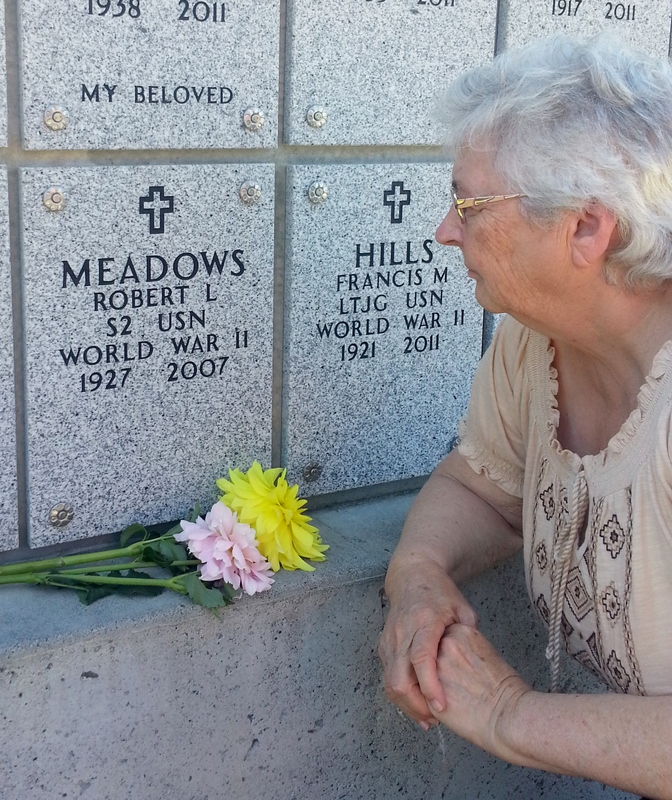 On September 9, 2013 we buried my Mother’s ashes in Washington so on our way we stopped in Oregon at the cemetery to visit Lorraine’s grave again and put fresh flowers on it. Lorraine’s name had been put on now so I was glad to see it finished. The three words at the bottom are: LIVE LIFE LARGE! That describes Lorraine well! We also looked for the grave of my brother-in-law, Bob. Then on to Washington to bury my Mother’s ashes. 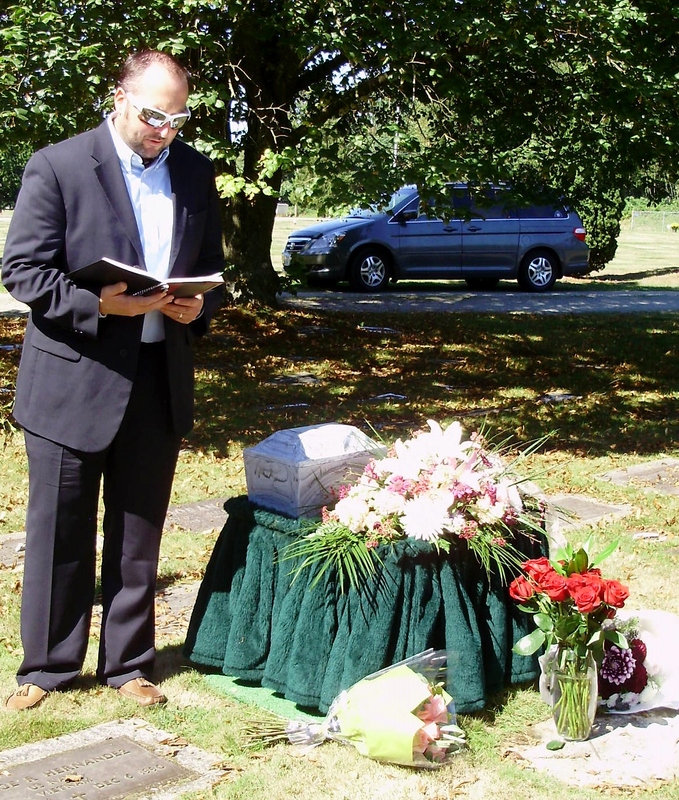 She was buried beside my Dad. The next pic is my nephew, Chris, officiating. My brother and his wife, Cookie. 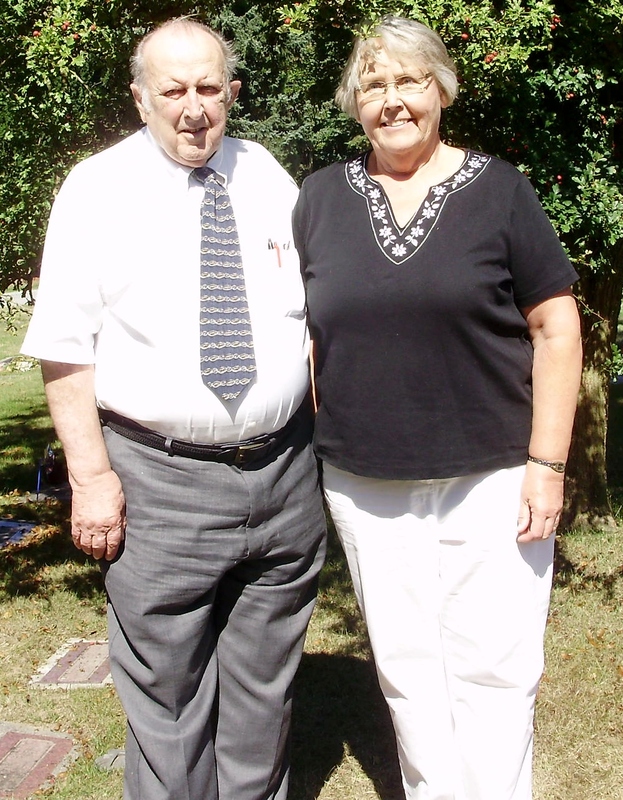 Richard, talked about our sister, Lorraine, and her untimely death. Bill and Vel, my younger brother and sister-in-law. 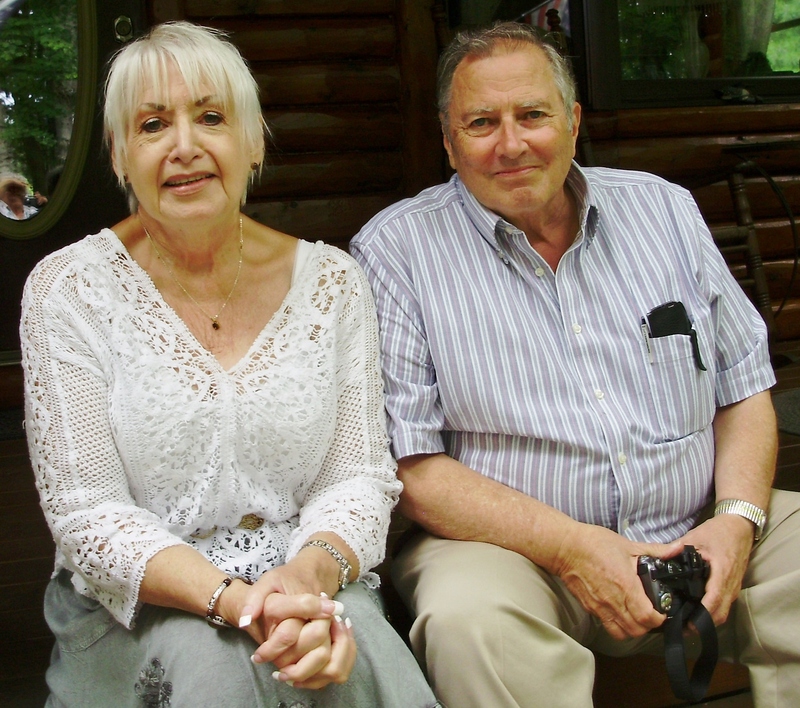 My daughter, Pam, son-in-law, Gene and my husband, Jerry. Cousins who attended: Rhonda, Chris, Pam, Sonja, Austin, Taylor and Mackenzie. 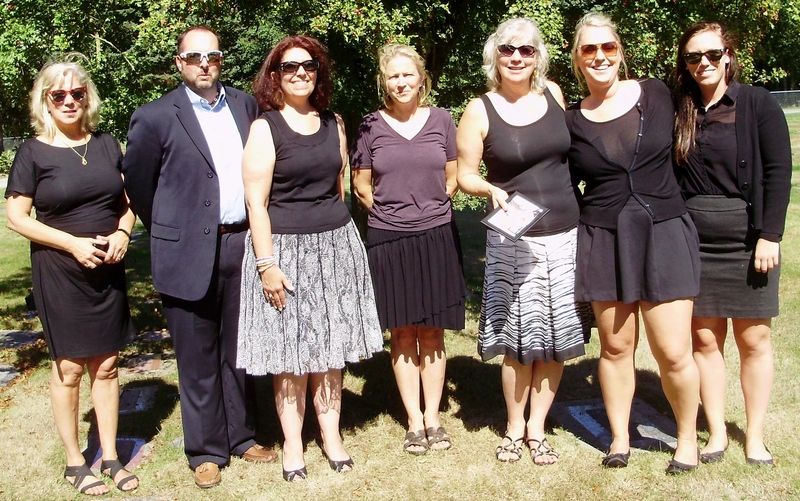 A few of my parents friends came to pay their respects. Most of my parents friends are gone now. 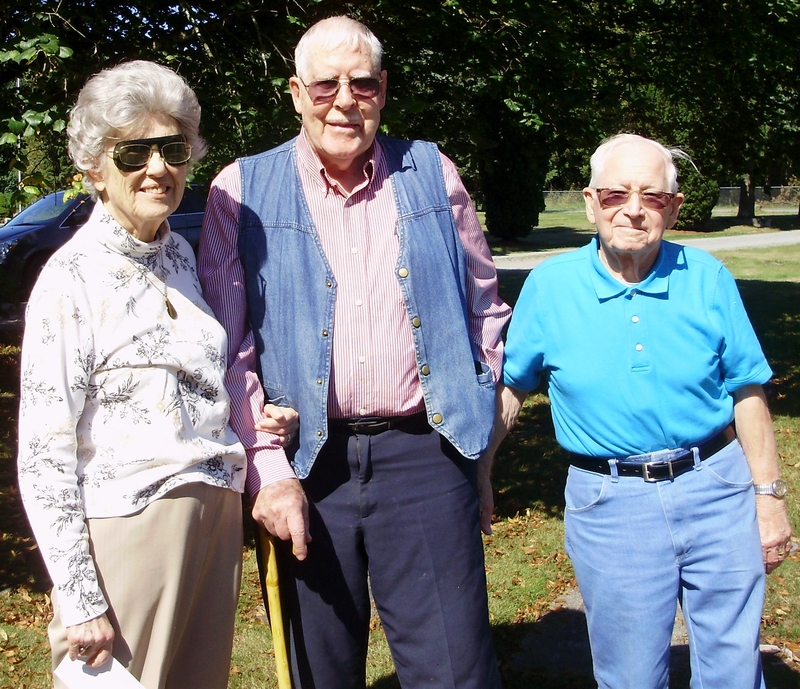 This is Beth, Gene and Harold, such good friends. We stayed all night so in the morning we went back to the cemetery to see the grave with the stone placed. We arranged the flowers again. 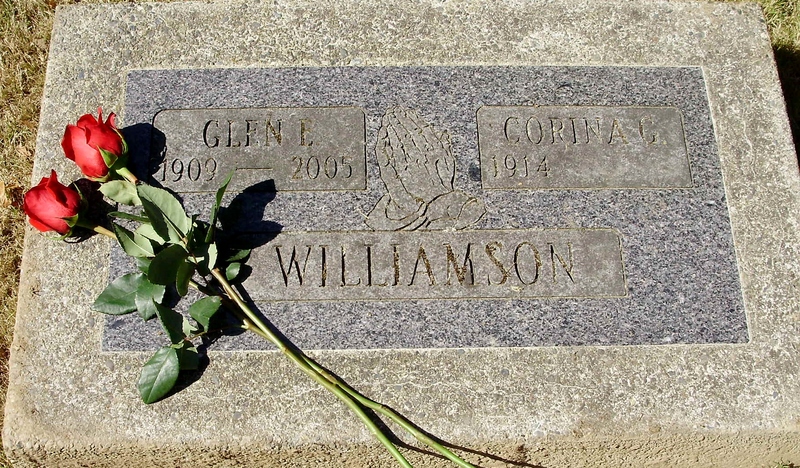 I don’t know of any way or time I can go back out to the west coast to visit these grave sites again. I treasure these pictures. 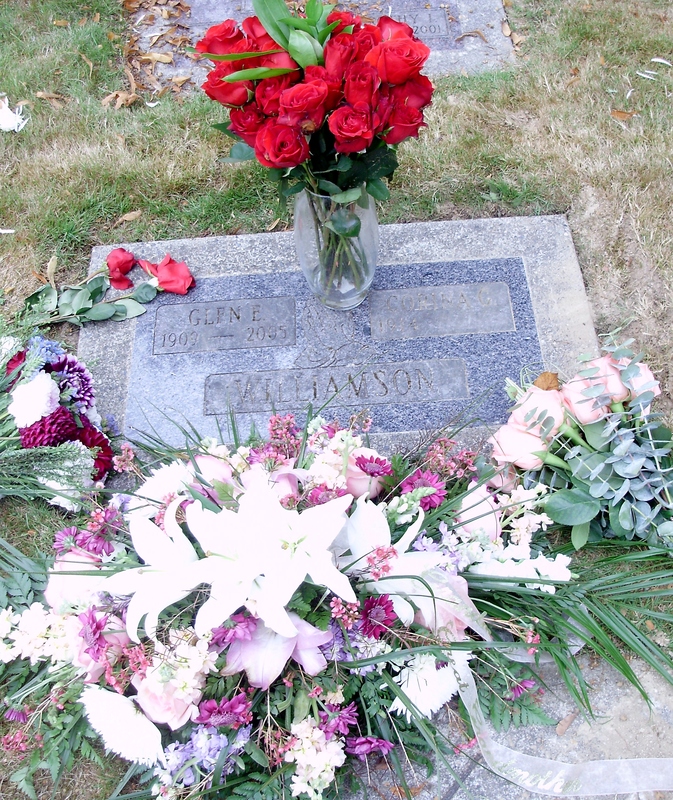 This entry was posted in Bill, Cemetery, Chris, Cookie, Dad, Death, Family, Flowers, Gene, Grave, Graves, Jerry, Lorraine, Me, Memories, Mother, Oregon, Pam, Richard, Travel, Vel and tagged Bill, Chris, Cookie, Family, Gene, Grave, Jerrry, Lorraine, Me, Memories, Mother, Pam, Richard, Travel, Vel. Bookmark the permalink. 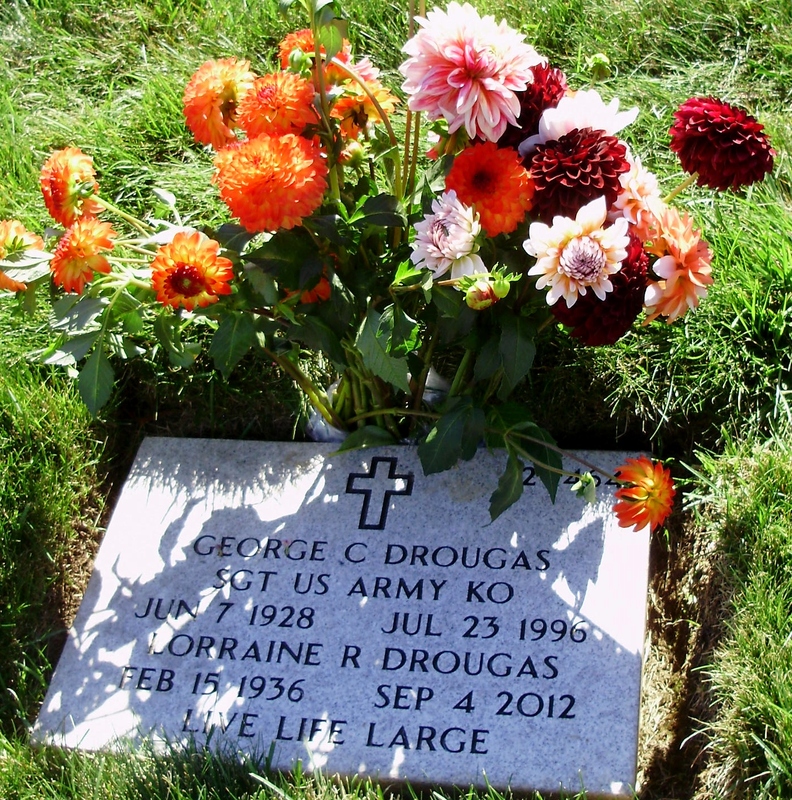 My dad’s ashes, and my mom will be one day, in a military cemetery, too. The time when my dad died were difficult days for me. I was never the same. Those days make a permanent mark on us, don’t they? Thanks Lena Rae. The good news is we’ll see them again some day! I keep saying good-bye to Mother every day as I view the stack of sympathy cards and DVDs of her service on the kitchen table. Beside these, I also have the birthday cards she sent to me and I to her as both of our birthdays are in July, just a day apart. I guess it’s a shrine of sorts, but I don’t plan to move it any time soon. Yes, the hope of the resurrection is a blessed thought! Thanks for the kind comment, Marian. I have a DVD of Mother’s pictures from the memorial service but I haven’t looked at it yet, since her service. I think I will soon.